An essential part of any dining room is the dining table. Often forming the focal point, they feature in modern and traditional homes alike and are united by a number of core attributes. A key piece of furniture, it’s crucial the model you choose is both stylish and functional, thereby providing you with the best of both worlds. Here at Atlantic Shopping we stock many styles of dining tables and guarantee they'll prove effective, whether you're looking to seat two people or ten. Our glass dining tables are available in clear, smoked and darkened options, with each type reaping its own rewards. 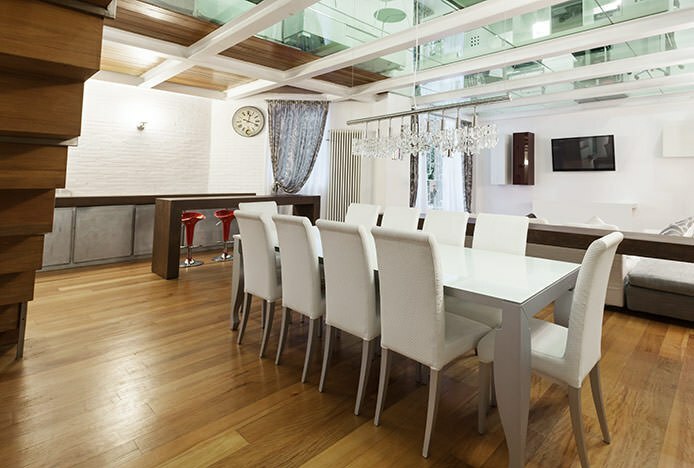 Clear glass is a smart minimalist choice, creating a greater sense of space and roominess. 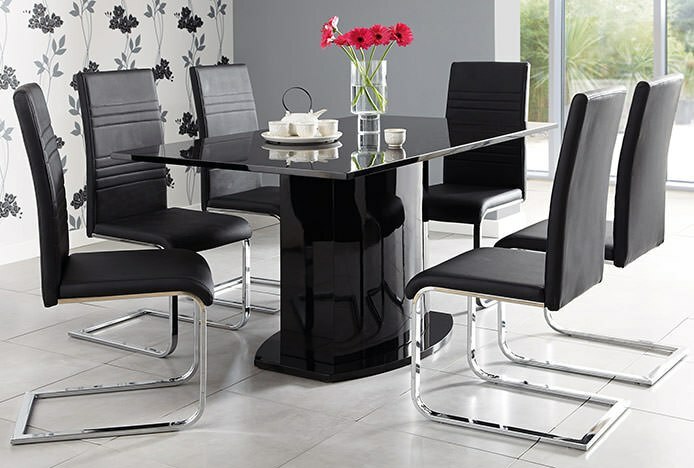 Complimented by our sleek transparent Acrylic dining chairs, it creates a chic weightlessness and light, airy aesthetic. By contrast black glass produces an elegant opaque effect, and is perfect for those looking to add a touch of mystery to their dining area. 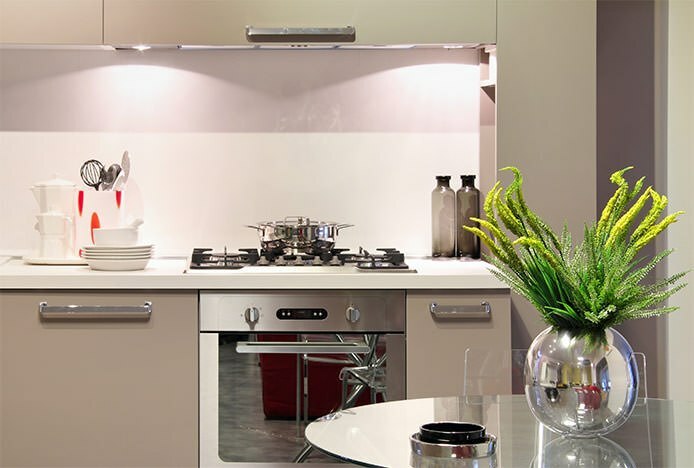 Stone tabletops such as granite and marble produce a more traditional feel. Influenced by tasteful ancient Roman designs, they evoke the history of dining tables with remarkable accuracy. The beautiful Modena Table has a highly durable surface and a classically beautiful appearance that’s unlikely to date anytime soon. Contemporary materials like vinyl and resin create a new-age look, the former producing a grainy, textured aesthetic while the latter allows your home to literally shine. Bringing your dining area up to date and beyond, these wonderful textures make a mouthwateringly modern statement. "All of our tables can be easily cleaned with a damp cloth, which means that messy children should prove little hindrance. Similarly the frames do not require much in the way of attention, enabling you to make the most of your purchase without having to worry about keeping things clean!" Varied in style and shape, our table frames come in an array of traditional designs alongside more contemporary ones. Whether you're looking for single column or conventional four legs, they comprise a choice of chic finishes. Whilst mirrored chrome is a classic option and firm favourite, newer brushed steel models embrace a hand worked finish to blend in beautifully with modern kitchen appliances. A circular base maximises the amount of space under the table for optimum accessibility, allowing you to easily slide your chairs underneath. Furthermore they strike a stunning contrast in rooms where sharp, angular lines rule the roost. Spherical designs tend to impart a softening effect and exude a harmonious aesthetic wherever they’re placed. Without doubt, dining tables are a staple feature of any beautiful home. Regardless of what you are looking for, you’re sure to find the ideal model for you in a great collection of dining tables. Shop the collection below. We take a closer look at the materials we use to make our dining tables.. Explore the story of the dining table, from ancient Egypt to today.. Discover a dining table design to suit every budget and interior style..